Trayvon Martin – Len Bilén's blog, a blog about faith, politics and the environment. Who is this unsung civil rights hero? In December 2010 a police lieutenant’s son, Justin Collison, sucker punched a black homeless man named Sherman Ware outside a bar [in Sanford, Fla.] Although Ware suffered a concussion and there was video evidence of Collison’s attack, no action was taken against Collison, who is white, for nearly a month. Reuters reporter Daniel Trotta talked about the incident in his April 3 2013 analysis of the early days of the Trayvon Martin phenomenon, but he failed to tell the full story. This young man was George Zimmerman. “Robert Zimmerman tried to get out this story, but Natalie Jackson said that he was playing the ‘race card’ (calling Zimmerman a racist), and the mainstream media didn’t want to know this side of Zimmerman, because they had their narrative and they didn’t want any information to get out that contradicted it,” Cashill wrote. 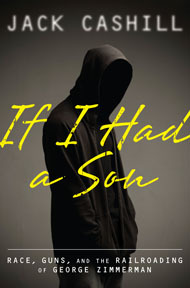 “If the reader had any doubt that media bias was at the heart of the George Zimmerman trial, Jack Cashill’s powerful new book, ‘If I Had a Son,’ puts this misconception to rest. Armed with example after example of purposeful media falsifications, lies, and deceptions, Cashill explores how the black grievance industry (BGI) and the race-mongering mainstream media manufactured a narrative that Zimmerman was an over-vigilant cop wannabe who stalked Trayvon Martin to his untimely death. The real story is quite different: The teenage Martin had been suspended from school on multiple occasions, and had a recent preoccupation with guns—none of which was known to Zimmerman when their paths met. Posted on October 31, 2013 October 31, 2013 Categories lawsTags George Zimmerman, Trayvon MartinLeave a comment on Who is this unsung civil rights hero? A pot-smoking paranoid boy could have been Obama 35 years ago. Was Trayvon, sought fights just for joy. that boy could have been me. In a sermon recorded (the first video) the same day a jury of six women declared George Zimmerman not guilty in the death of Florida teen, Trayvon Martin, chief pastor at the ATLAH World Missionary Church in New York City, James David Manning, railed at his congregation for defending Trayvon Martin because he is black. The second video is from President Obama’s unscheduled appearance at the daily White House press briefing Friday Jul 19 2013. Posted on July 19, 2013 July 20, 2013 Categories Christian, faith, limerick, Obama, PoliticsTags faith, Limericks, Obama, politics, religion, Trayvon MartinLeave a comment on A pot-smoking paranoid boy could have been Obama 35 years ago. 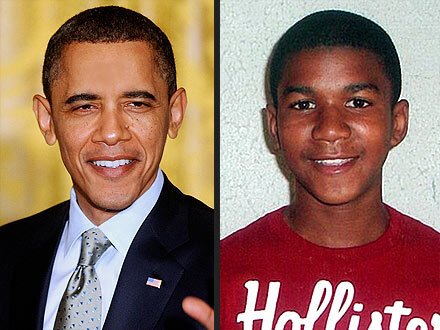 “If I had a son, he’d look like Trayvon,” Obama said during a press gathering in the Rose Garden, after he was asked about the incident that sparked national debate after intense lobbying by the CRS (1). Is us all, not just one. (1)	The legal watchdog Judicial Watch announced today that it has obtained documents revealing the Community Relations Service (CRS), a unit of the Department of Justice, was deployed to Sanford, Fla., following the death of Trayvon Martin to help organize rallies against George Zimmerman.